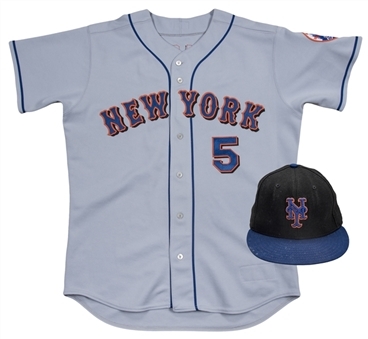 Offered here is a gray road jersey worn by New York Mets third baseman David Wright, as well as a black and blue Mets hat worn by Wright during the 2006 MLB season. 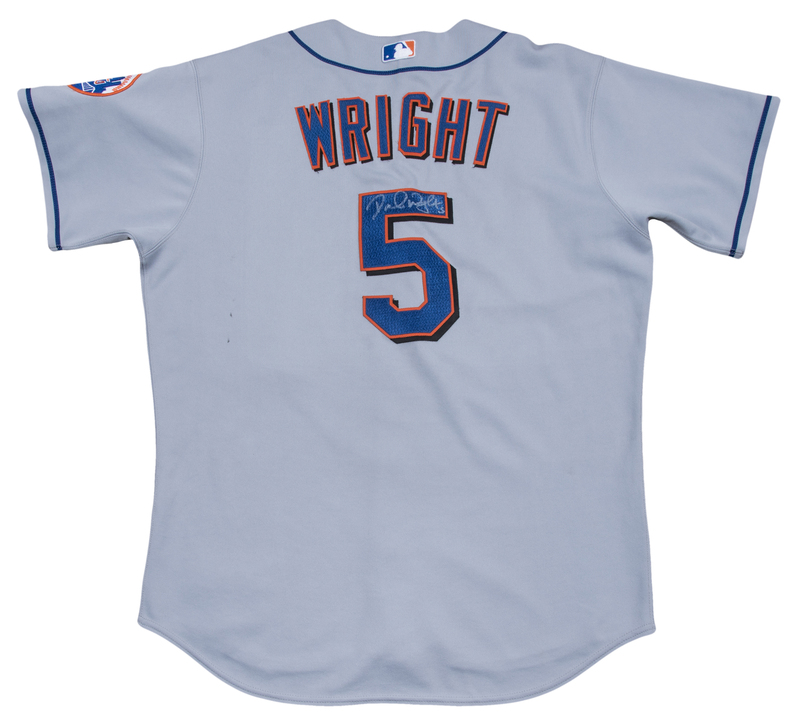 Wright, a seven-time All-Star, is one of the best players in Mets history, holding team record in numerous offensive categories. 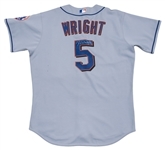 In his prime, Wright was a perennial threat to hit 30 homers with 100 RBI and a .300 batting average. This offered jersey is a gray button-down, with “NEW YORK” and Wright’s number “5” sewn on the chest in blue, orange, and black tackle twill. 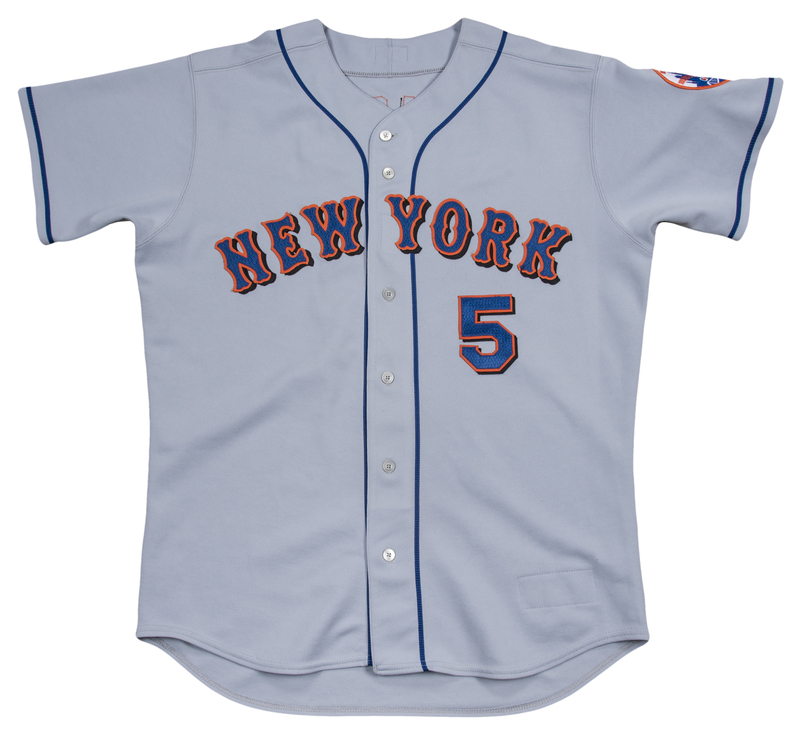 “WRIGHT” and a second number “5” are sewn on the back in the same fashion. A MLB logo is sewn on the back outside collar and a circular Mets skyline logo is sewn on the left sleeve. 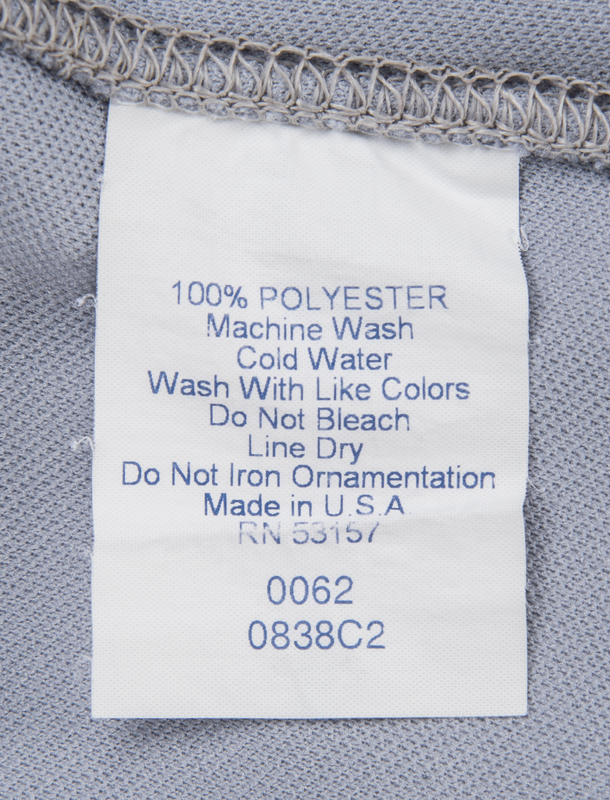 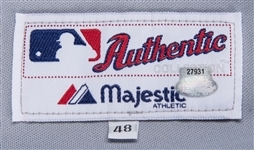 A Majestic size “48” tag is sewn on the inside front left tail of the jersey. 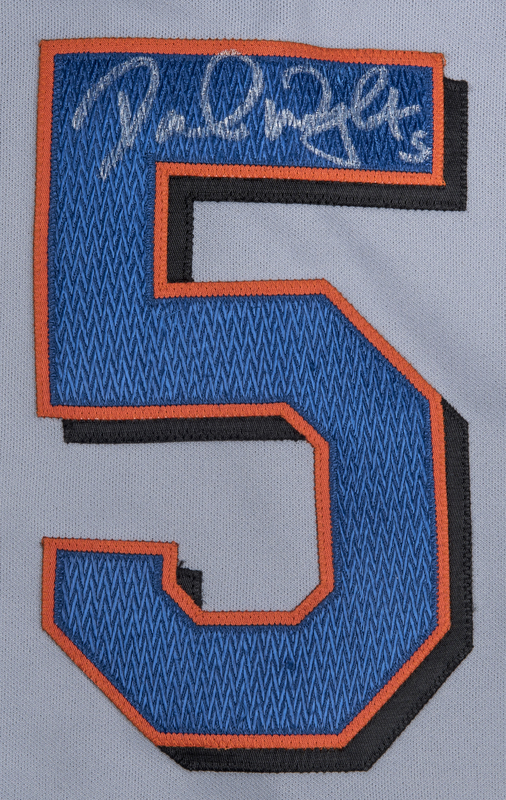 Wright has signed the “5” digit on the back of the jersey in silver marker. 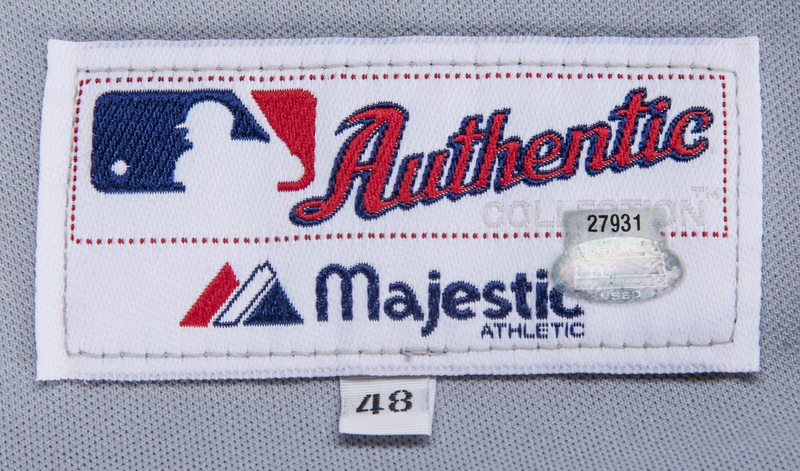 This jersey comes with a Steiner Sports game used hologram (27931) and a COA from Steve Grad of Beckett Authentication (F63914). Also included in this lot is a Mets cap worn by Wright during the 2006 MLB season. 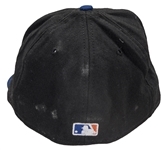 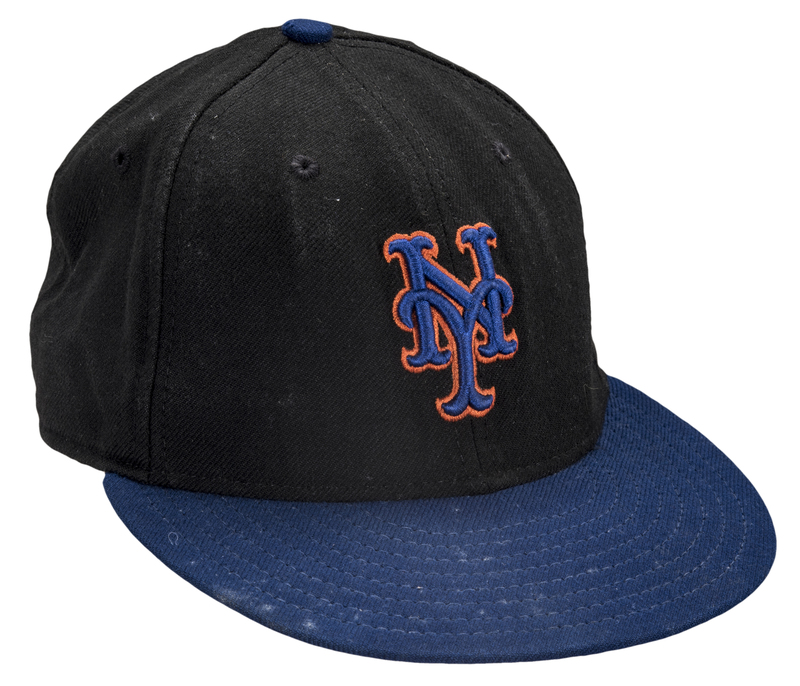 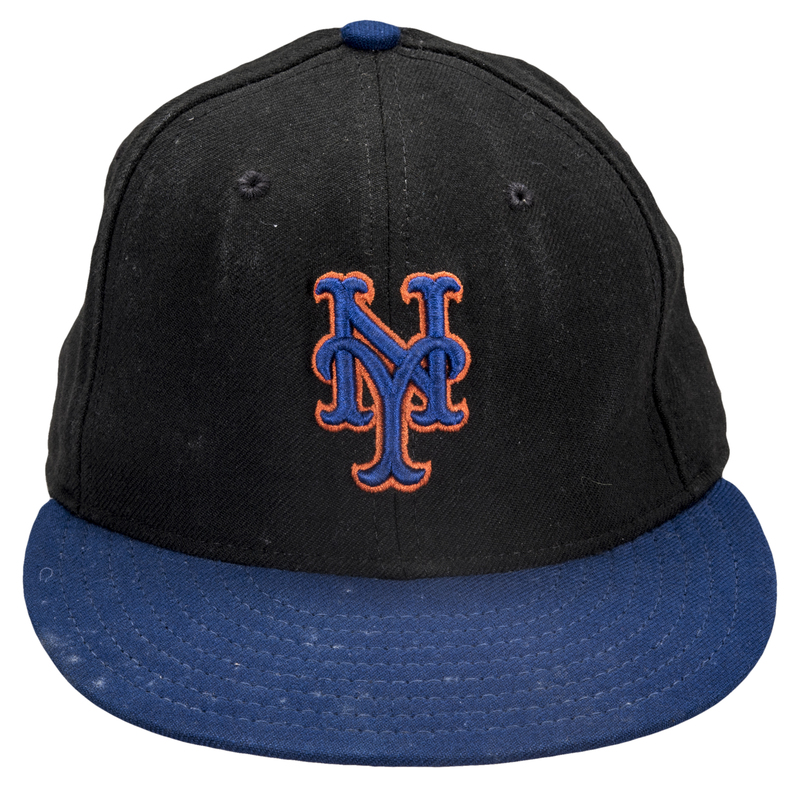 The cap is black, with a blue brim and a blue and orange Mets logo sewn on the front. 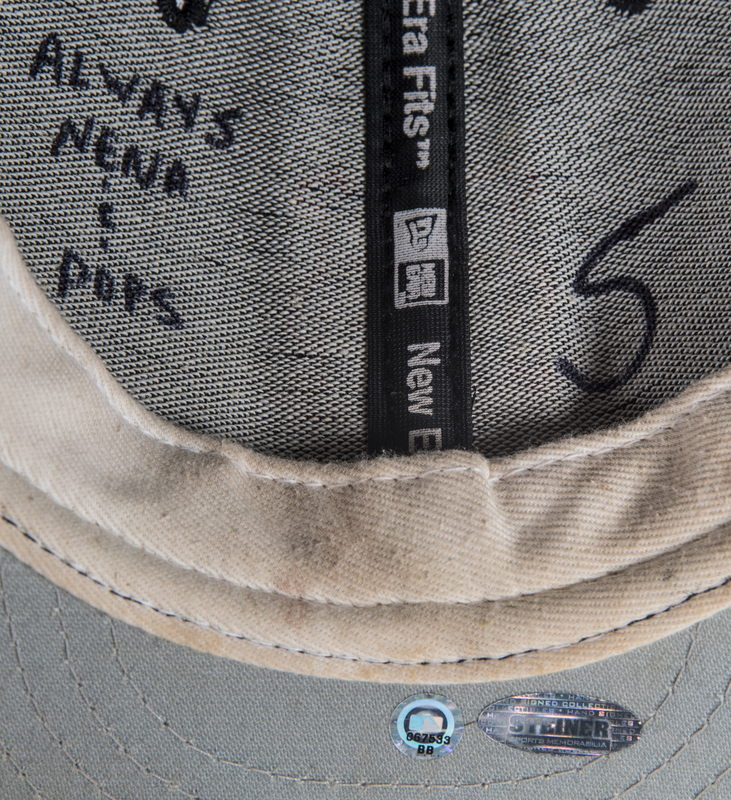 Written in black marker on the inside of the cap is “Always Nena & Pops” and Wright’s number “5”. 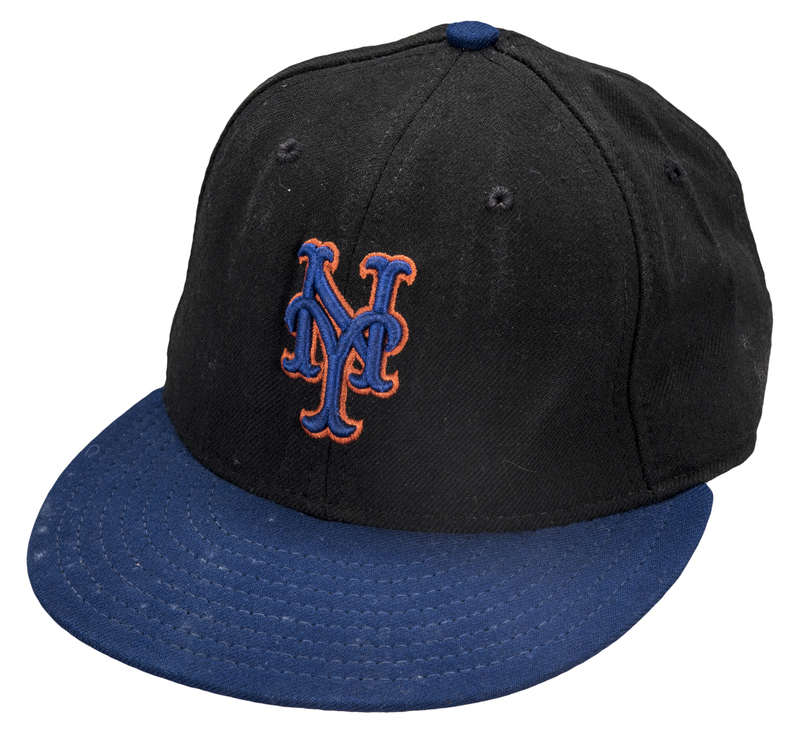 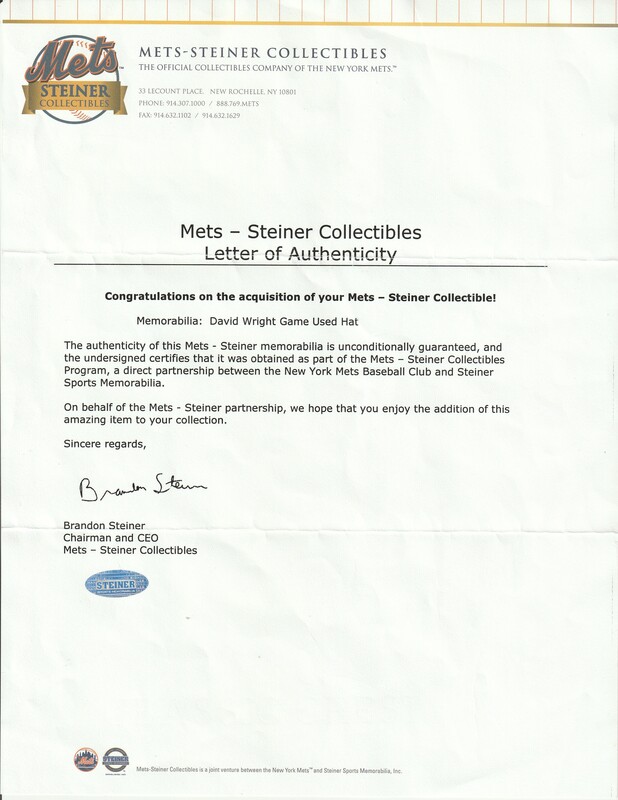 This cap comes with a MLB Authenticated hologram (BB 067533) and a LOA from Mets-Steiner Collectibles.